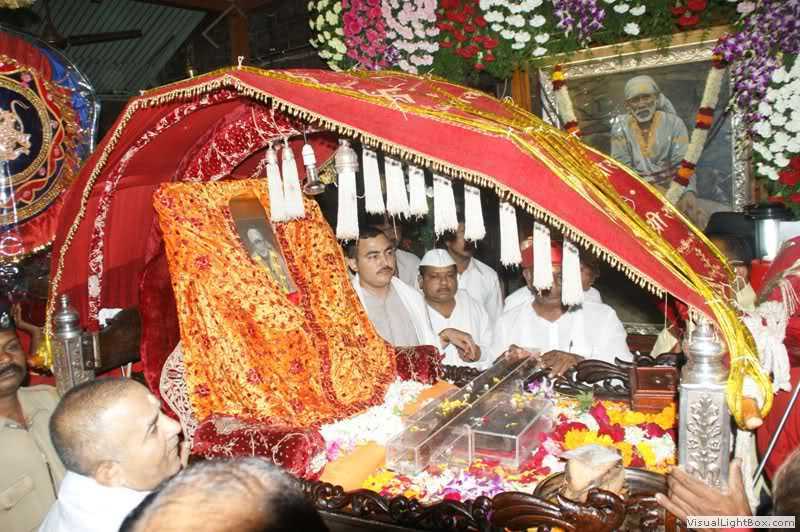 One of Sai Baba devotees says “Om Sai Ram, I am not able to express about my load Sri Sai Baba. He is my mother, my best friend or in simple words everything. I daily read experiences of people and every time I find one common feeling among them that baba is giving them immense love. Isn’t it strange that a man who left this mortal about 100 years (almost 100 will complete in 2018) and now everyone whoever is his devote is experiencing lots of miracles, Dear lord you are great. My humble request to God is that please take birth again and come back to us. This world really need your incarnation on the earth again. I have experienced many miracles and I say they are not miracles they are your selfless love that you expressed. I want to share one of the experience here. This year I got a golden chance to visit Shirdi after prayers done for almost 1 year. 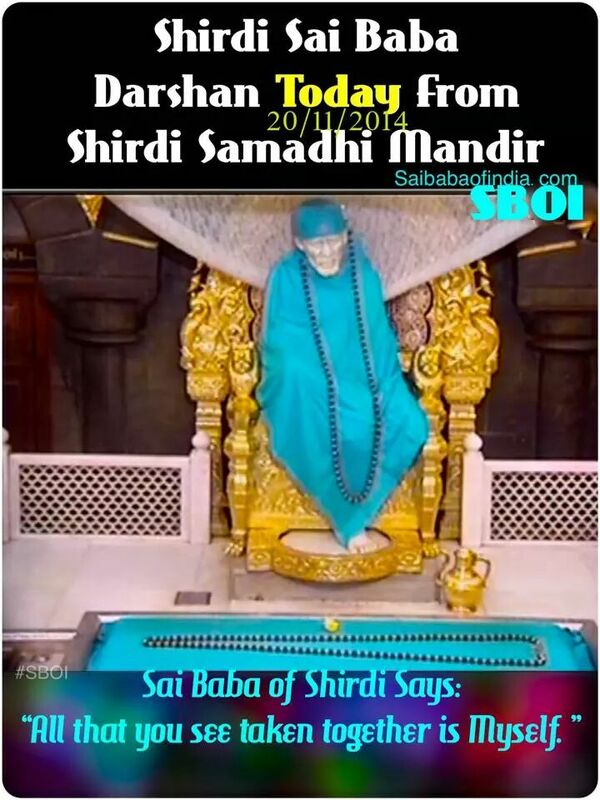 Baba accepted my prayer and gave me chance to step inside Shirdi. On that morning I was very excited and emotional, and I was worshipping baba at home. A miracle happened just about 3 hours before leaving home. There were three men came outside our house and started singing baba’ s song, I was totally surprised that how they came. It was not Thursday, and suddenly they appeared, after all they were baba’ s messengers; they can come anytime and anywhere. I went outside and one of the 3 came near my outside gate and said “Shirdi jate baba bula rahe hai”. Oh my dear God, I was out of this world, and tears rolled out of my eyes. How those men knew that on that day I was going to Shirdi. It was nothing but baba sent them to realize that he is completely aware of his devotee. Dear Sai, you are ocean of love, and I can’t express gratitude in words. After few hours we reached railway station and surprisingly what I was looking everywhere that I was looking baba idol or pictures were coming in my vision, even in shops of railway station baba’ s pictures and idol s were there. My mind was not working and I couldn’t sense what was happening. Eventually, we reached Shirdi in morning and after taking some rest we left Shirdi trust rest room and sat on the trust bus, bus started and again one more miracle was ready to happen. An old man wearing green dress (dressed like Muslim saint), peacock feather in his hand and he came near to the bus. His innocent face and beautiful smile can’t be forgotten. He touched those feathers to me and smiled like a child, I am absolutely sure he was none other than baba. Then we finally reached inside temple of Lord Sri Sai Baba. I looked towards baba’ s idol and in front of him; all my senses stopped working like what to do and where to go. I was totally out of this world.